When a state’s top executive buys radio time so he can implore anyone within listening range to please come and fill 15,000 job openings, you know there’s a severe workforce shortage. 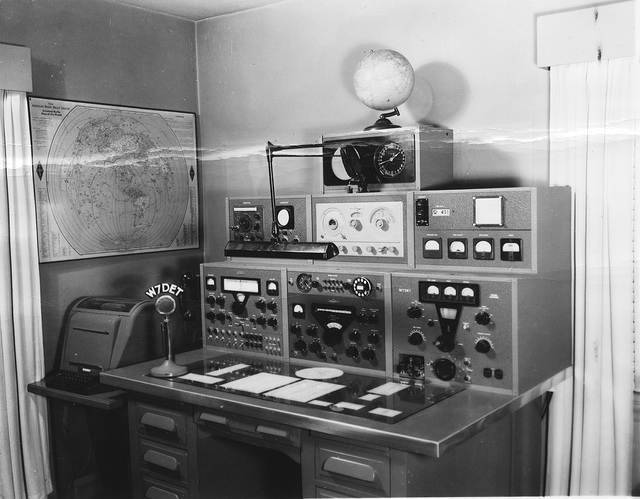 That’s exactly what compelled North Dakota Governor Jack Dalrymple to take to the airwaves in 2011 and call, quite literally, for help. Although the Bakken had been deluged by job-seekers since shale development ramped up in 2006, there still weren’t enough outsiders to replenish dried-out local labor pools or support the rush of new workers. Going public seemed an appropriate action. Job growth in the domestic oil and gas industry has been heralded as a game-changer for the US economy. No less an authority than billionaire investor George Soros included the nation’s shale resources among the reasons he’s bullish about America’s outlook compared to other countries. The numbers bear out his judgment. The energy industry continues to lead the nation in both job creation and wage growth. Between 2007 and 2012, the domestic oil and gas industry added 162,000 new jobs, a 40% increase in employment that also happens to be 40 times higher than the paltry 1% growth rate for the entire private sector. Looking forward, the numbers are even more striking: Employment in unconventional oil and gas is projected to more than double by 2035 from 1.7 million to 3.5 million jobs – or 2% of the total US workforce. Because finding skilled labor to fill those positions has challenged even the most adept headhunters, recruiters turn to outside-the-box solutions to fill their plethora of job openings. Seminars and outreach fairs are cropping up in very visible and accessible public locations like shopping malls to tap local talent. Over the summer, for example, Mid-Ohio Valley’s Grand Central Mall hosted the four-hour Washington State Community College Oil and Gas Meet and Greet – complete with a virtual welder system to lure passersby with hands-on demos. Beyond that, educational institutions are increasingly coming into the fold. Drillers are partnering with university graduate recruiting programs to expand the radius of their talent searches beyond their traditional geographic boundaries. And this higher-education focus has encouraged at least one major O&G decision – the University of Houston now offers the nation’s first Subsea Engineering graduate program – with others sure to follow. Farsighted workforce development pros have even started mining the high school ranks. In December 2011, more than 800 high school students attended the Oil & Gas Youth Career Expo in Washington County, Pennsylvania, the heart of Marcellus shale country. The daylong event featured 40 companies involved in drilling, production, and supply, all eager to get local teens to consider oil and gas industry careers. But there’s more to this story than shale being an easy path to a good job. The route, it seems, is paved with gold. The oil and gas industry is generally known for supporting solid wages, from blue-collar jobs on up, and today’s serious labor shortages are compelling companies to pay top dollar. Overall wages for full-time workers in the mining, oil, and gas exploration industry jumped almost 6% in 2012, the salary comparison website PayScale notes. That amounts to the best annual growth recorded since the company started tracking wage trends in 2006. The 12-month percentage change in national wages was 3.5%, also the best figures since 2006. A regional study by Penn State University pointed out that the state’s highest wage increases occurred in counties with significant Marcellus activity. In fact, two Keystone State counties – Bradford and Washington – made a recent Bureau of Labor Statistics list of the top 100 counties experiencing the nation’s highest wage growth. How do these statistics translate to take-home pay? In 2010, the median annual pay for all oil and gas workers was slightly more than $37,600. Just one year later, average salaries in the Bakken were nearly twice that, at around $70,000. With overtime, the $100,000-a-year mark was well within reach. Energy workers in the Marcellus are padding their bank accounts, too. The median wage in Pennsylvania’s core Marcellus industries exceeds $80,000, besting the statewide average by more than 40%. In West Virginia, where the number of oil and gas extraction jobs grew by 9.5% from 2008 to 2011, wages for those workers rose on average nearly $11,000, to more than $71,700. And let’s not overlook Ohio, where average O&G wages are $30,247 higher than the statewide figure. What’s equally remarkable is how workers not even directly employed by the oil and gas industry are enjoying an economic uptick. 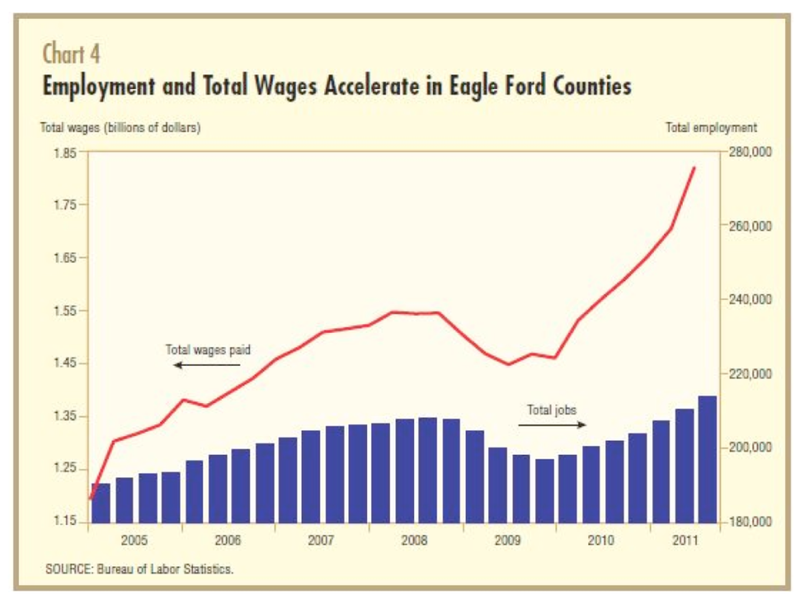 Since the start of Eagle Ford development in 2008, personal income has risen in all but one of the 23 counties that comprise the region. In three counties – Dimmit, La Salle, and McMullen – the increase has topped 30%; in the remaining 19, the improvement is anywhere from 4.05% to 22.84%. Similar wage inflation has also spilled into the small towns that dot the Bakken region. Average weekly wages in places like Watford City, North Dakota – population 1744 – have shot up 140% since 2001, and local unemployment has dipped below 2%. At $12 per hour, the minimum wage for entry-level jobs in the town’s restaurants and convenience stores is well above the national rate; some fast food chains have been forced to bump their pay above $15 per hour just to hold onto workers and keep up with competitors. The Bakken is, indisputably, a high-octane local economic engine. But earlier this year, the Federal Reserve Bank of Minneapolis decided to explore if North Dakota’s shale oil activity influences employment and wages even farther afield. 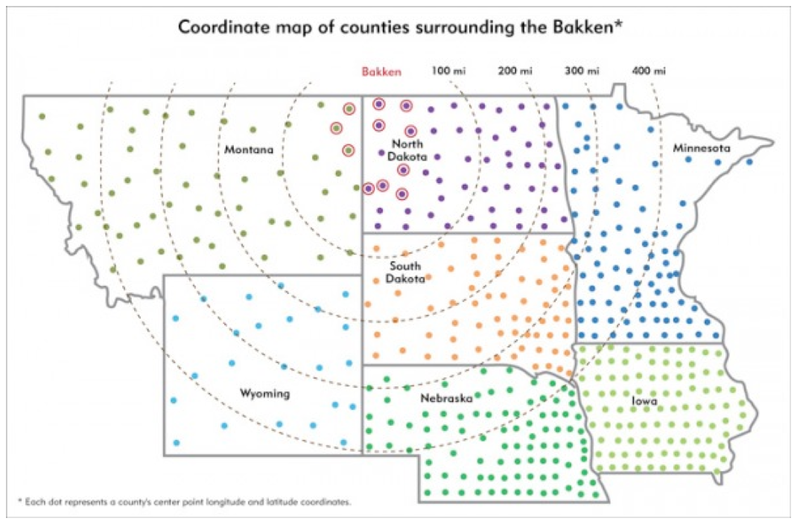 Could the Bakken be broadcasting its good fortune to neighboring counties or even to adjoining states? But closer inspection reveals an even more gripping story. Even workers living 100-400 miles away from the Bakken’s core face a brighter economic picture – of higher wages and better employment prospects – than US employees as a whole. That’s compelling confirmation of previous findings that indicate areas where domestic energy is produced fare far better than most others. Which means that shale’s siren song should be a hit to listeners coast-to-coast.